Trouble loves the comic book character Wolverine. Why? I have no idea, but... Trouble now want's to be a Mutant Super Hero when he grows up. Sounds dangerous like fun! Trouble asked for a Wolverine notebook so he could write stories about his favorite super hero. I have no interest in tracking down a Wolverine notebook so I knew I was going to have to make one. I pulled out the Modge Podge, a paintbrush, some pictures of Wolverine (from a coloring book) and a spiral notebook. Next I brushed a layer of Modge Podge over the front of the notebook. Then laid the pictures of Wolverine in the Modge Podge. I brushed a layer of Modge Podge over the new cover of the notebook and let it dry. Trouble was thrilled to see this new notebook. I was thrilled to see him using his new notebook. This project can be done with whatever pictures, photographs, scrapbook paper etc... you like. this is a great idea! no more searching for a particular notebook! Ha! Great work! If you could have found one in the shop -it probably would've cost you 5 times as much anyway! Fabulous creation. My daughter loves note books, this is a great idea. Came here via Mingle Monday. I am new to the mommy blogs and love hops. I'm a mother of 4 and love it. I just thought your notebook was great. I have started a children's book blog and would love to have you visit and follow. I'm ur newest follower. Hello, I'm your newest follower and I love do-it- yourself blogs. Looking forward to reading your posts. Please stop by moneysavvymama.com and see what freebies and coupons you can find. Hi There. 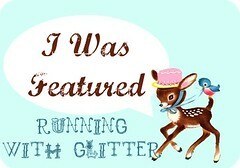 Cute blog. New follower via Mingle Monday. 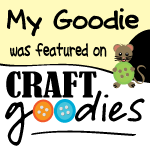 You can find me at http://nimblergrove.com/ If you have time swing by. So smart! My 8 year old would be ecstatic over superhero notebooks. Super cool idea! My son would love this! And even more special that he gets to write his own superhero stories in it. Thanks so much for linking up to Terrific Under Ten! I'm your 100th follower! Super neato! Thanks for linking up to Mad Skills Monday! Love it! 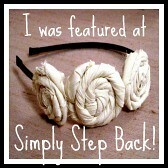 you were featured at Simply Step Back today- stop over and grab a button! Great job! Thanks for linking this up to Wicked Awesome Wednesday. wow, what a great thing you could make for you son! Looks like he really loves it:) Thanks for linking this up at my party! This is such a great idea! I am sure that I have a bout a thousand notebooks that could use a little Mod Podge magic! Love the super hero theme! Thanks for sharing witht eh Pink Hippo Party! Hi, I just landed here from the Lamb Around Blog Hop. I'm a brand new follower. Everyone in my house is super creative and we go through notebooks/journals like crazy. This is a great idea.